For the last 30 years, Frank Riola has been at the heart of the bus and coach seating business, yet his initial involvement was largely coincidental. Proudly Italian in origin, he was christened Francesco and came to Cambridgeshire at the age of ten in 1964. Not only does his company, Abacus Tubular Products, supply seats to a wide variety of manufacturers and converters, he has personally been involved in the design of seats for other manufacturers and also played a leading part in the development of the all-age seatbelt concept. In the run up to Christmas, I went to see him at his premises in Ramsey and was roundly told off for not having done so previously. During what was supposed to be a brief interview but somehow took a little longer as the story unfolded, he told me about his many years experience and the exciting developments that will come to fruition in the coming weeks and months. When he left school he worked as a motor mechanic before a chance meeting with someone in a pub car park resulted in him joining the Arch Motor & Manufacturing Company in Huntingdon as a welder. They manufactured the Lotus/Caterham 7 and it was during seven years with them that he gained a lot of light engineering knowledge. The work required flexibility and he developed a hands-on approach that he retains to this day. In 1984 he set up on his own as Mars Engineering with a lathe, a tube bender and welding equipment undertaking sub contract engineering work though he was careful not to poach former Arch customers. 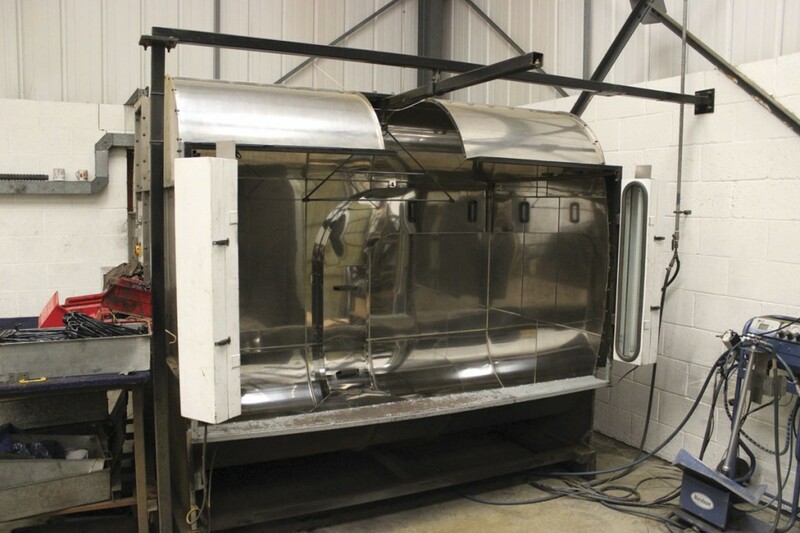 Much of the work involved manufacturing aluminium structures for lighting rigs. 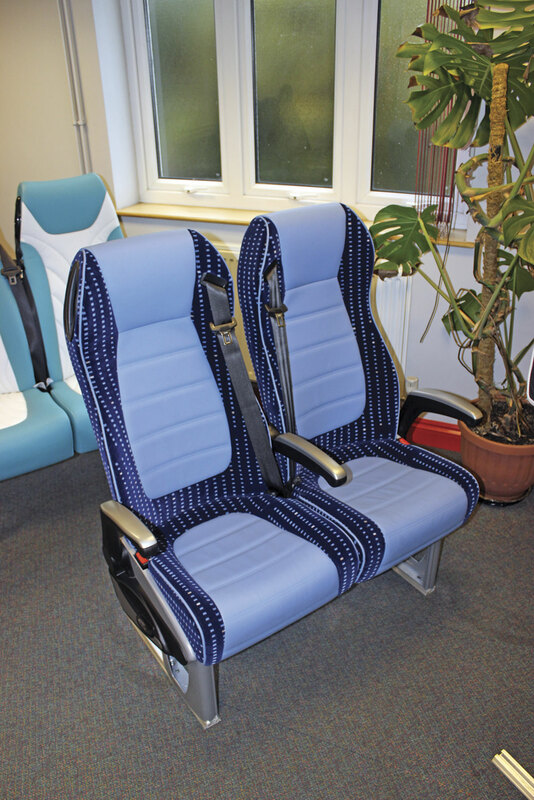 The move into seating came when another contractor who manufactured brackets asked him if he could take on a job from the newly established UK operation of Vogel Seats run by Bob and Richard Brown. They wanted a set of trimmed double seats for a Plaxton coach altering so that there was a four inch stagger between the window and aisle seats to improve the view out for passengers. This had to be achieved without damaging the existing trim. Frank worked out a solution that not only protected the seat but involved an insert within the tubing to ensure there was no weakening and took it back to them. They were so pleased that they asked him to do a whole container full and offered him double the figure he’d had in mind to do it. With so many to complete he bought a new grinder and built a jig that made the task easier and quicker to do. They then asked him to design a bus seat that could be offered to the UK market. Regulations were very different then, the only requirement being that a bench seat had to withstand a 150kg push from a hydraulic jack at 700mm above the floor. This wasn’t difficult to satisfy. Heiner Vogel liked the resulting seat and gave the Browns permission to establish a factory to build it. Frank was commissioned as a consultant to set up the jigs, moulds and manufacturing including sourcing the tube benders, precision saws and benches with a deadline of April 1985. The deal, all done on word of mouth, saw Frank incur quite significant costs which were to be reimbursed when Heiner Vogel visited the plant and signed everything off. On the day he was supposed to do so he reached Dover and, for domestic reasons, turned back and the plan never came to fruition. Frank had promised the equipment suppliers they would be paid and despite the problems he faced, they were, though it took slightly longer than he had envisaged. As a result they continued to support him in his new venture. 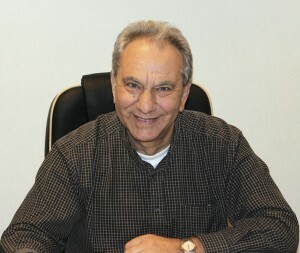 He set up Abacus Tubular Products with a partner who departed during 1986 and Frank has been in sole charge ever since. 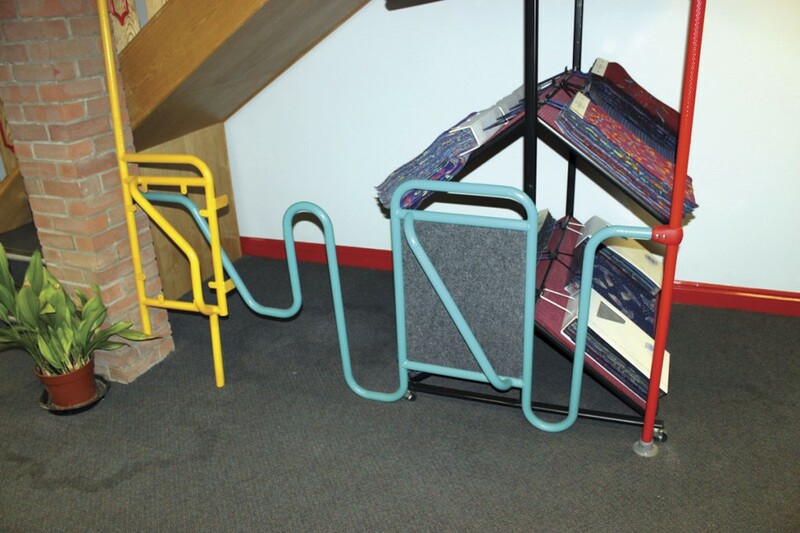 Bob Brown left Vogel and set up Robard Seating, a marketing company that sold seats made by Abacus, which also manufactured handrails and other bus interior fittings. The initial order won was from Wadham Stringer for 212 sets to go in MOD buses. 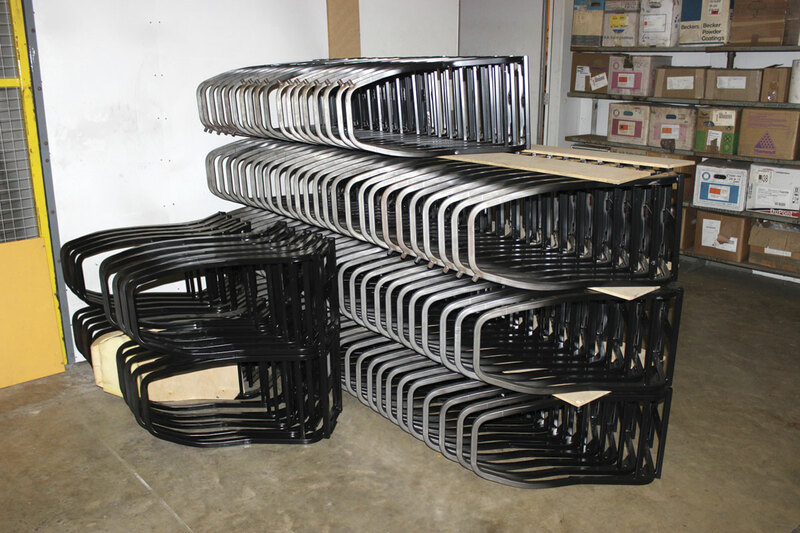 At that time, Abacus produced seat frames and the manufacturer or converter trimmed them. Companies for which seat frames were designed and built included MTB, Richards & Shaw, Berkeley UK and CVE among many others, while others, including Marshall SPV and East Lancs used Abacus seats. In the early 1990s it supplied Iveco directly with seats for UK versions of the Daily 49.10 based coach and LDV was another major customer. In 1992 the Emerald Bodyguard seat was launched which used aircraft technology, weighed only 11kg (including the pedestals) and was tested at MIRA, though material costs meant people were reluctant to pay for it. Developments have not been limited to the seats themselves as Frank’s ingenuity has also been turned to other seat related problems. 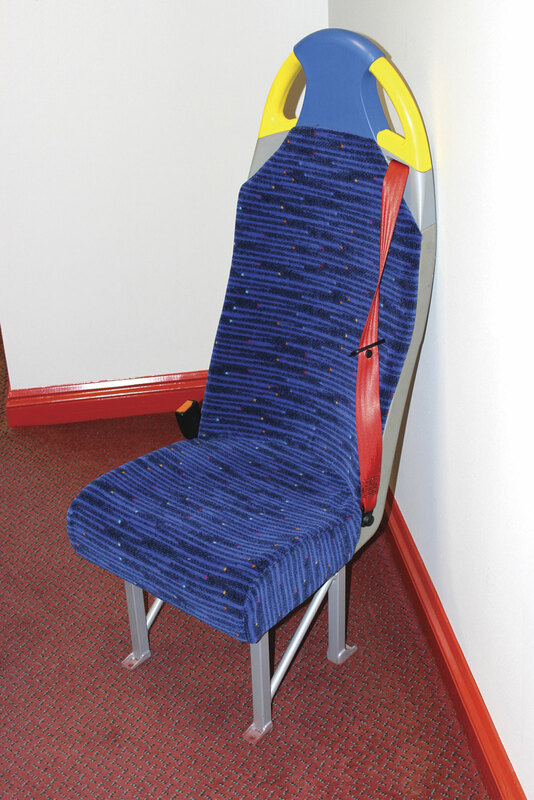 Unsatisfied with the early seatbelts on the market he came up with the all age seatbelt idea which was developed with a testing establishment in Carlisle. It was subsequently marketed very successfully by Safetex. 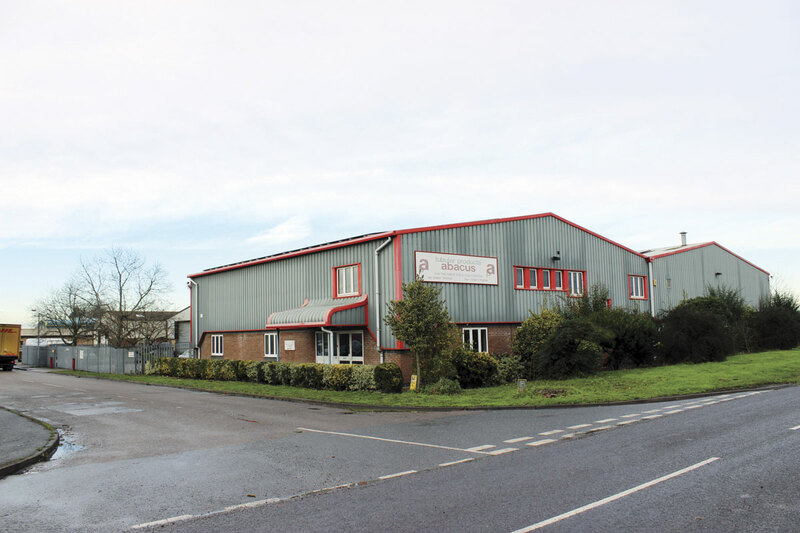 The 1,400square foot factory unit in Godmanchester where the operation was based soon proved too small and in 1987 a plot was bought on the Highlode Industrial Estate in Ramsey where, in 1990, a 4,800 sq.ft. unit was erected in the trademark red and grey Abacus colours. The move enabled trimming to be brought in house and complete seats offered as the trend at the time was for manufacturers to close their in-house trim shops. Seven years ago a company Gibicar was supplying collapsed and took them with it. They were acquired by another company with very different marketing ideas to Frank’s and the contract was lost. ‘Politecnica grabbed all of the customers I’d nurtured,’ lamented Frank. He looked elsewhere for product but couldn’t find what he wanted to offer. ‘Keeping my reputation is very important to me. The products I sell have to be to my standards. I want to go to bed and sleep at night without getting phone calls and people swearing at me,’ he said. Then in late September he heard that Politecnica’s UK and Irish operation had closed down and by early October he was at the plant in Ancona talking to them. He looked at what they were producing and liked what he saw, ‘they are bang on’. During December Politecnica’s directors came to the UK to vet the Abacus operation and obviously liked what they saw because contracts were exchanged during the visit. Abacus will now be taking on the marketing, sale, support and warranty of Politecnica products in the UK. The agreement covers the entire range including M1, M2 and M3 standard products from well known ranges including the Relax, Viaggio, Arco and Rally. 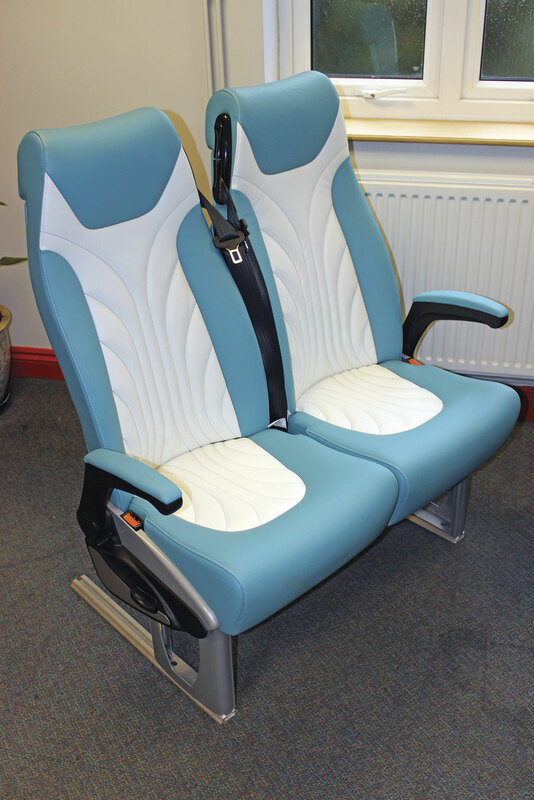 At present, all UK supplied Politecnica seats will be trimmed in Italy but it is planned that in the future Abacus will retrim driver’s seats in the Ramsey plant to match seats supplied. Materials forwarded from Italy will be utilised in the process. ‘If a manufacturer needs other special items for a vehicle we can also do that that here,’ said Frank. ‘I’m absolutely confident that they will represent the best value for money in operation as well as a great look and comfort level,’ said Frank. 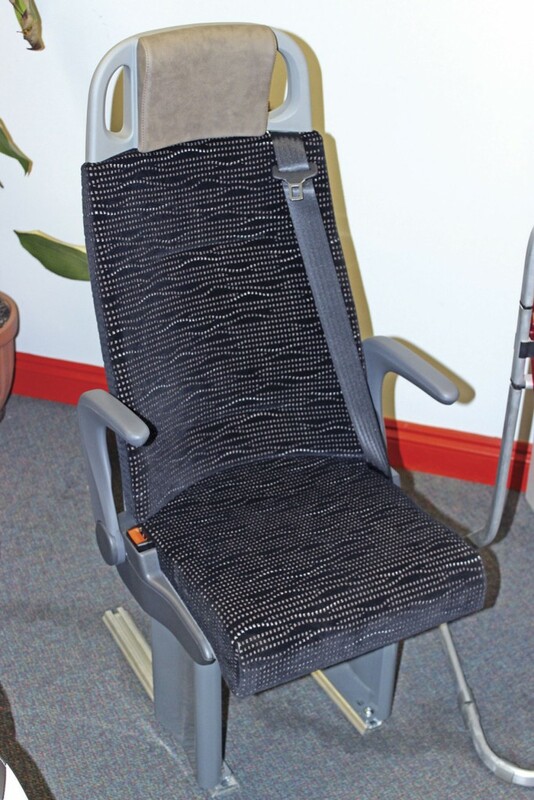 The existing Abacus Bodyguard 2000, introduced in the year of its title, continues to sell well with Frank describing it as ‘the best seat we have ever manufactured.’ He added, ‘the Bodyguard range is without doubt the lightest steel framed seat on the market at 13.5kg.’ Adopted by many manufacturers it is homologated for M1, M2 and M3 applications. He pointed out that, ‘The double Bodyguard 2000 is the only double seat passed on Koller T-bolts because it is so light that it does not put too much stress through the bolts.’ The double unit weighs 24.5kg. Rather than rest on its laurels Abacus is investing in the future and developing a stylish new seat that will meet both R80 and M2 testing requirements. Called the Avanti it is a single pedestal welfare seat with a high back and three point belt that can be all age if required. It has a modern and appealing appearance. ‘We’ve already invested well into six figures in the seat and we’ve not sold any yet,’ said Frank. He is looking at an April launch for the Avanti, hopefully at the CV Show. ‘Everyone who has seen it is impressed with how comfortable it is’, he said, which prompted me to get up and try it. I could only agree as it provides support where you need it but none of the pinching about the shoulder blades I sometimes encounter. It just seemed to fit. Before leaving the Ramsey premises Frank showed me around the plant. He is very proud of the planning that went into designing the building, which was erected 14 years ago in 2000 with Frank acting as main contractor. The specification is very high, though the considerable outlay on Category C cabling has proved unnecessary as it is now obsolete. One decision he is really pleased he made was to have solar panels fitted to the roof as part of the Government scheme available at the time. Installed three days ahead of changes in the rates paid for the energy generated, they create a useful return. 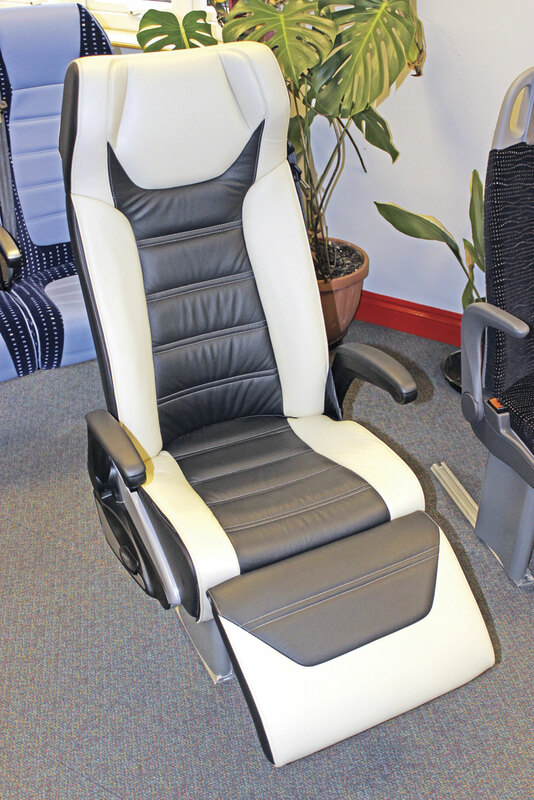 It was clear that Abacus has the capacity to do much more than manufacturing seats. With the equipment available on site he can and does undertake all manner of engineering work. The emphasis today is very much on the seating market but Frank will still turn his hand to other engineering tasks on occasions. Our last port of call was the showroom where a variety of own brand Abacus seats, Politecnica units and also the related railing and accessory items offered are displayed. It emphasised the point that, with Politecnica’s catalogue added to the portfolio, Abacus can meet a wide range of manufacturer and operator requirements. He also showed me the frame of a seat for a 1950s coach from a set that he had renovated for Neil Millington’s Classic Connections heritage fleet. Frank described the frames, which involved a huge amount of welding and special sections that would make them prohibitively expensive to make today, as ‘works of art.’ He also produced some frames for one the restoration projects of the Friends of King Alfred Buses. This doesn’t represent a major part of the business but Abacus has the ability to do it to a high standard. A longstanding relationship of which Frank is very proud is that with the Lord and Lady Taverners which stretches back 23 years. In September 2012, after they had supplied 1,000 sets of seats, the charitable organisation made a presentation to Abacus which has pride of place on the wall in Frank’s office. The total is now at 1,120 sets, all mounted in Ford Transits. Frank speaks highly of the work the organisation does and is deeply moved when he visits them. Frank’s pride in his Italian heritage is matched by his belief in respect and his principles. He is known for straight talking and his language can be colourful but, ‘I don’t want to harm or bad mouth anyone.’ He tries to be helpful too, ‘I’m happy to supply my competitors if they need something,’ he said. He can be quite flamboyant and likes his private car registration plates – R1OLA on his car and R10LAF on the company van. ‘Over the years I’ve seen them come and go’, he said. ‘There are not too many bus builders left and not too many seat manufacturers. There were some characters but the industry has changed. It’s all about accountants now.’ If the industry has changed, Frank’s enthusiasm for business and serving the needs of customers has not. Inevitably, at 60, thoughts about where the business goes in the longer term go through his head. Frank has ideas about this but isn’t ready to talk about them yet. Ongoing investment in the Abacus range as well as the keenness to take on the Politecnica brand show that the hunger for success is still there, so don’t expect him to be putting his feet up any time soon.